Livestock Gentec is an Alberta Innovates Centre based at the University of Alberta. It was created in 2010 to bring the commercial benefits of genomics to the Canadian livestock industry. 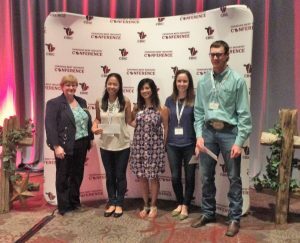 Livestock Gentec sponsored the graduate student symposium. LG had three PhD students participate, where Seyed Ali Goldansaz gave an excellent oral presentation on Metabolomics and sheep mastitis, and Jiyuan Li and Xuechun Bai participated in a poster competition. 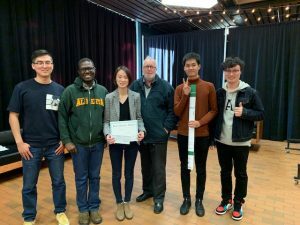 All students presented very well, and Xuechun Bai won in the poster competition as one forge top three posters! Forage to Beef at Difficulty Ranch and Whiskey Ridge Cattle Co.
Is there a “beef” with Canada’s new Food Guide? Sign up for Gentec newsletters. If you have any feedback, suggestions or comments on this site, or if you would like to see more or different information, Contact Us. Keep up to date with all the latest that occurs with Livestock Gentec. Copyright 2019 University of Alberta..